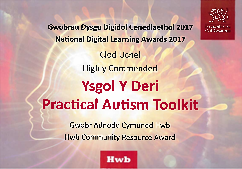 Ysgol Y Deri Autism Outreach Service are delighted that their work developing the interactive Practical Autism Toolkit has led to them being shortlisted as finalists for the NAS Professional Awards and highly commended in the HWB Digital Learning awards this year. The Toolkit evolved from the contributors’ work with over 700 amazing pupils with autism and the many superb people supporting them in the Vale of Glamorgan schools during the last 12 years. The highly effective, interactive resource is now available to download from Ysgol Y Deri website www.yyd.org.uk/pat in two formats. The iBook can be viewed on a MacBook, iPad, iPod or iPhone. The eBook can be read on most devices, including Windows operating systems, Android, Linux, Apple and Windows mobile. 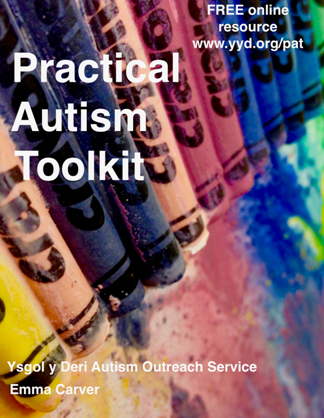 Demonstrations of both versions of the Toolkit will be available at the Welsh Autism Show on September 28th. Originally developed as an interactive learning resource for staff working in mainstream schools, it’s also been downloaded by many parents and carers across Wales and by staff working in organisations as diverse as housing associations, a fostering service, Mencap, Barnardos and the National Museum of Wales. It’s even reached as far afield as New Zealand. The resource is full of practical tips, strategies and resources to support young people with autism. 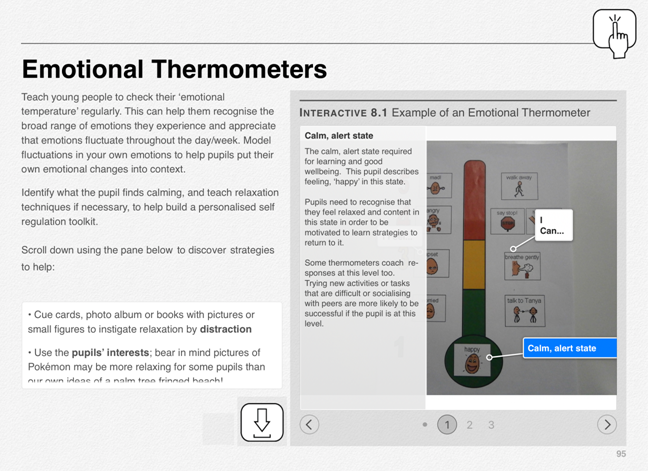 Video clips, photo galleries and interactive diagrams are organised into chapters. 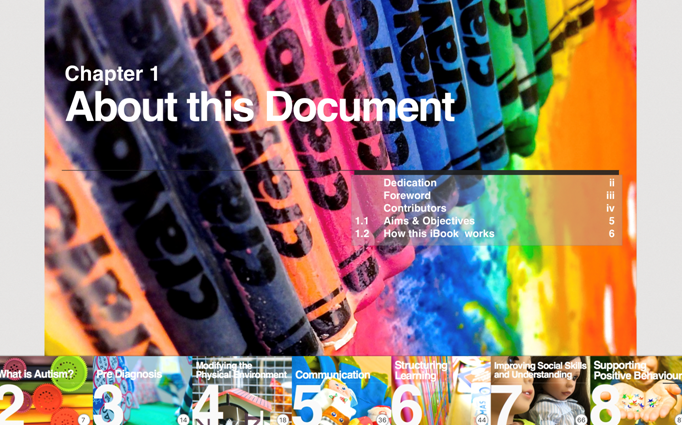 The first chapter ‘About this Document’ includes a video tutorial clearly illustrating how to navigate the book and make full use of the interactive features. It highlights the symbol to click on throughout the book that links to downloadable resources. People with autism teach us something new every day. This resource will evolve as our understanding of autism progresses. PAT will be updated on an annual basis by the team at Ysgol Y Deri. Users are encouraged to feedback successful practical tips from their own practice and will be emailed notification of updates. In this way we hope PAT will facilitate the exchange of innovative and helpful ideas across a large network of professionals and parents throughout Wales and beyond.